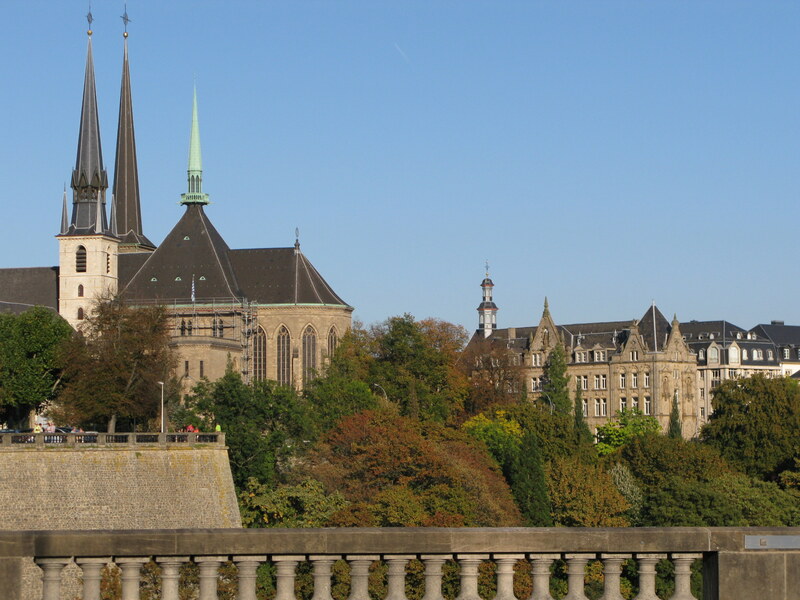 A land-locked country that has had its territory usurped by its neighbours for centuries, the Grand Duchy of Luxembourg has done more than survive. 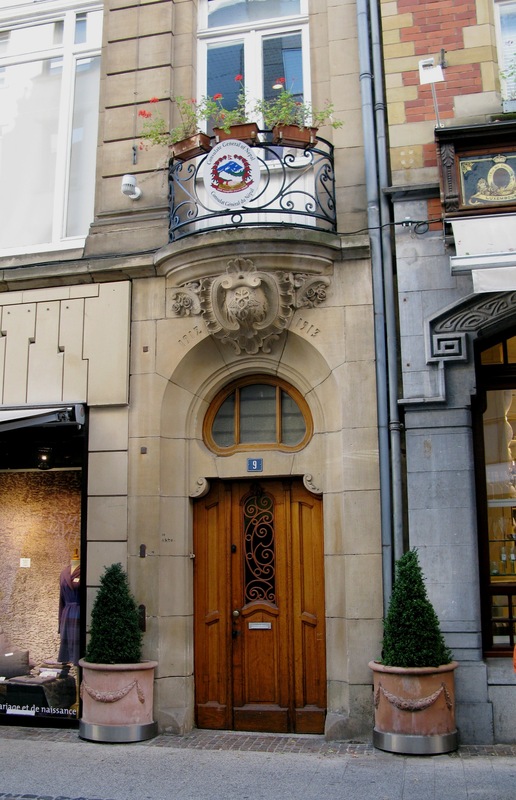 This tiny country was a founder of the European Community and later the EU, and the many centres and agencies of the EU that now reside within the city attest to its diplomatic finesse. 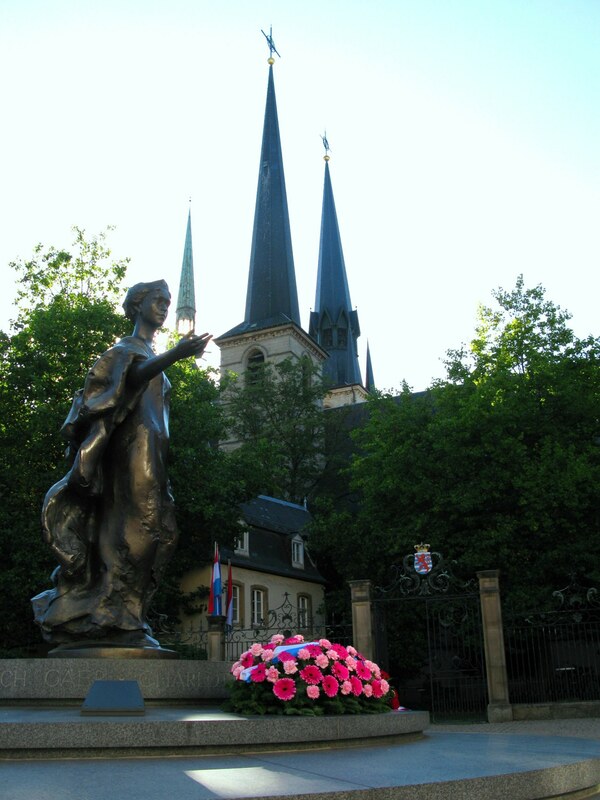 Here the statue of Grand Duchess Charlotte is a fitting introduction to such a locality; Charlotte was thrust to the throne following the abdication of her sister Marie-Adélaïde. The abdication came with pressure from her subjects, arising from what was seen as too much cordiality to the German occupiers during the First World War By abdicating, Marie-Adélaïde saved the monarchy, for with her sister as Duchess, a subsequent national referendum about whether to become a Republic voted in favour of the status quo. The very beautiful Marie-Adélaïde was only eighteen when she came to the throne. 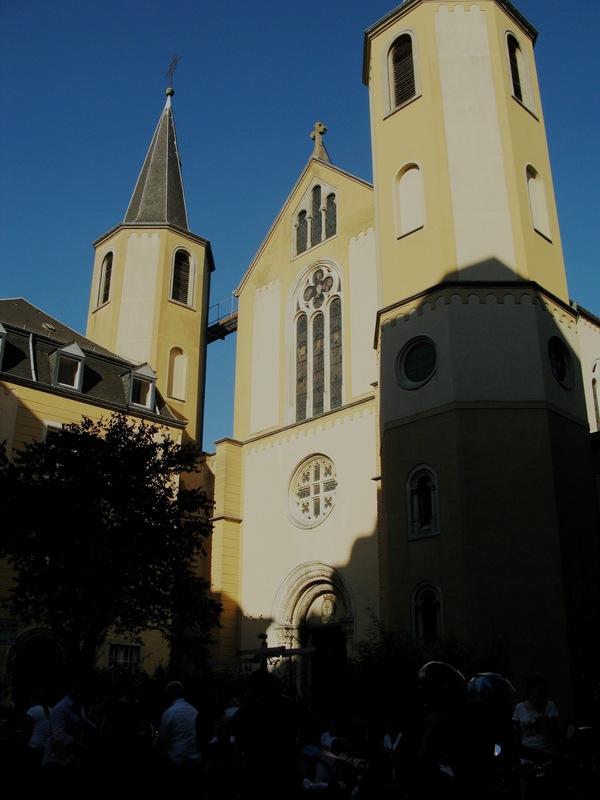 Her family lineage of the Dukedom of Nassau was based in Wiesbaden in what is now Hesse, so perhaps her response to the Germans can be somewhat understood. After abdication at the age of twenty-five, she retired first to a convent in Italy, but with poor heath left there and to later die of influenza in Bavaria. She was twenty-nine years old. History was to be re-enacted with another German occupation during World War II. Charlotte took refuge first in France and then in London before seeing out the war in North America. In London she broadcast to her subjects in Luxembourg and upon return continued as sovereign until she, too, abdicated in favour of her son Jean. In turn, he abdicated after reigning for 36 years in favour of his son, Grand Duke Henri. 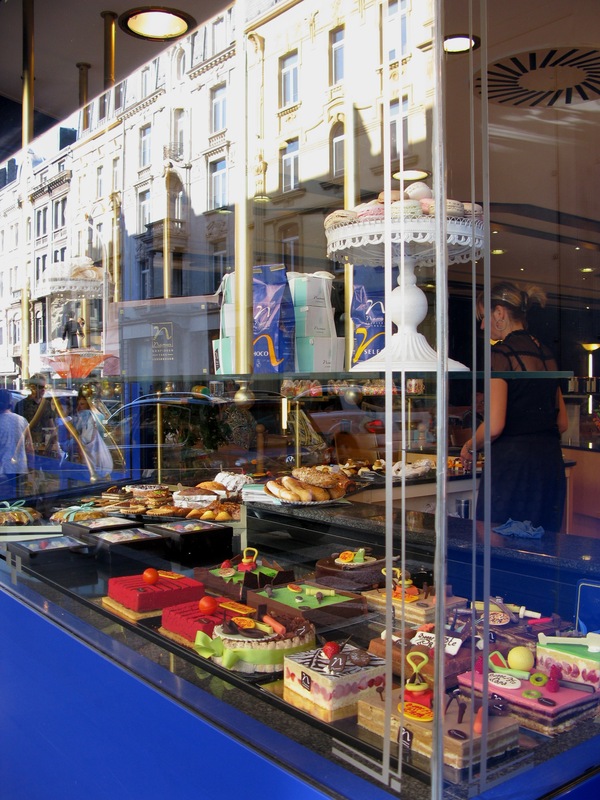 Luxembourg remains adept as well it must, given its geographic limitations. 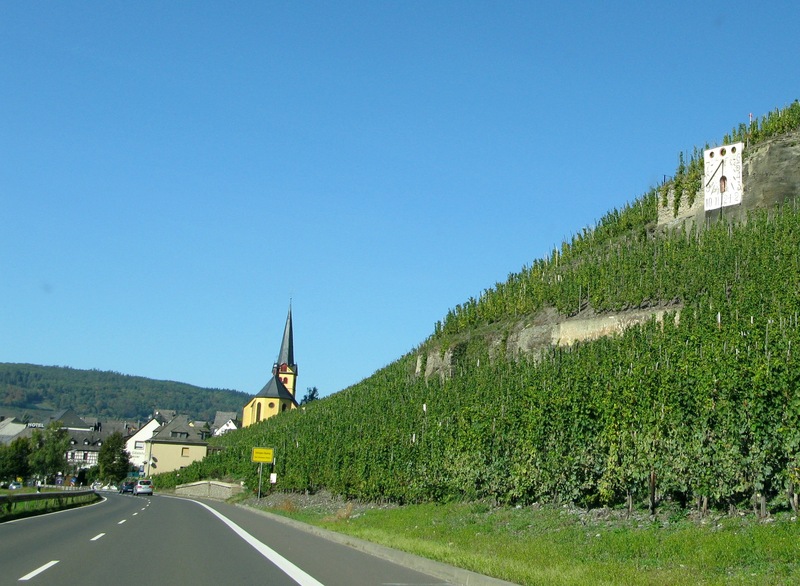 The drive to Luxembourg whets the appetite for your arrival as it is flanked with vestiges of past castles and fortresses. 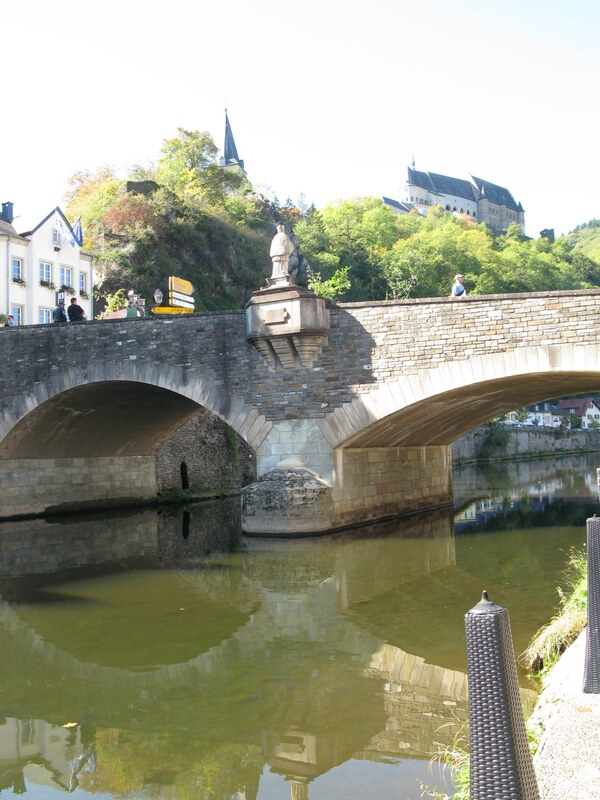 As you cross into Luxembourg, there is a mountain sundial clock, perhaps designed for naviagtors on the River Ours. 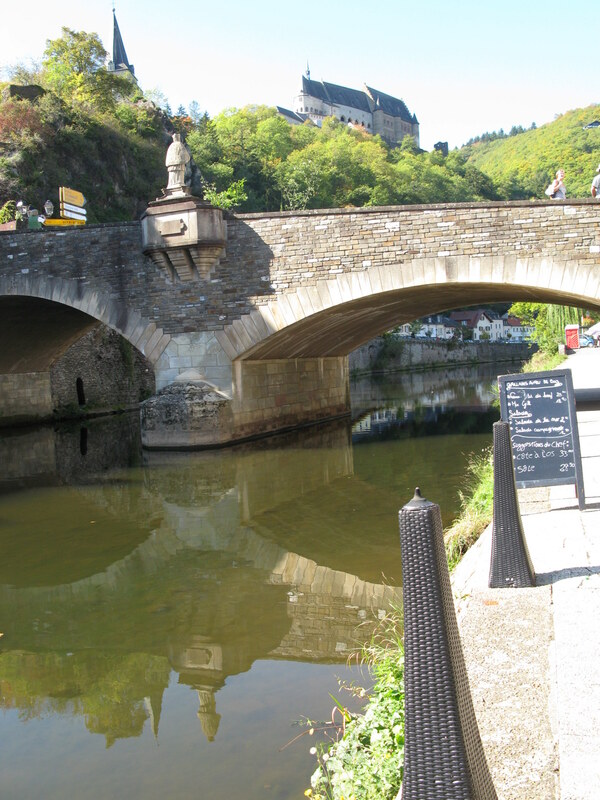 One of the stops that really entices, is that in the picturesque town Vianden, overlooked by its massive fortress and castle. 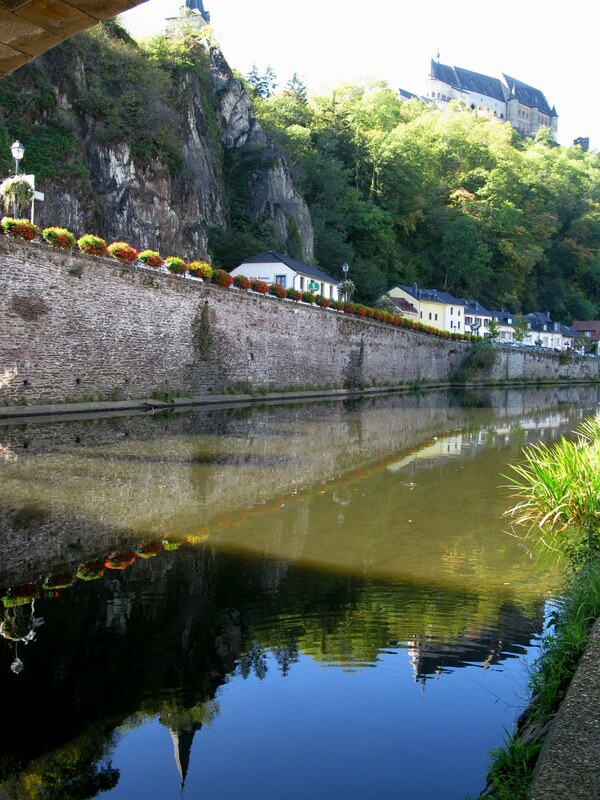 The Romans had a castle here before records report in 1090 of the First Count of Vianden being in residence. It is a really lovely place. Sadly it was the site of a ferocious battle at the close of the Second World War, and the last place in Luxembourg to be liberated from the Germans. There are plaques to those whose lives were lost and who fought here. 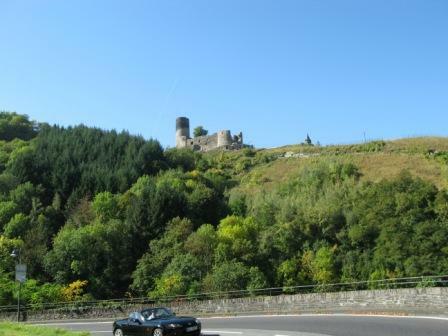 In summer there is a chair lift that can carry you silently to the castle from the valley below. 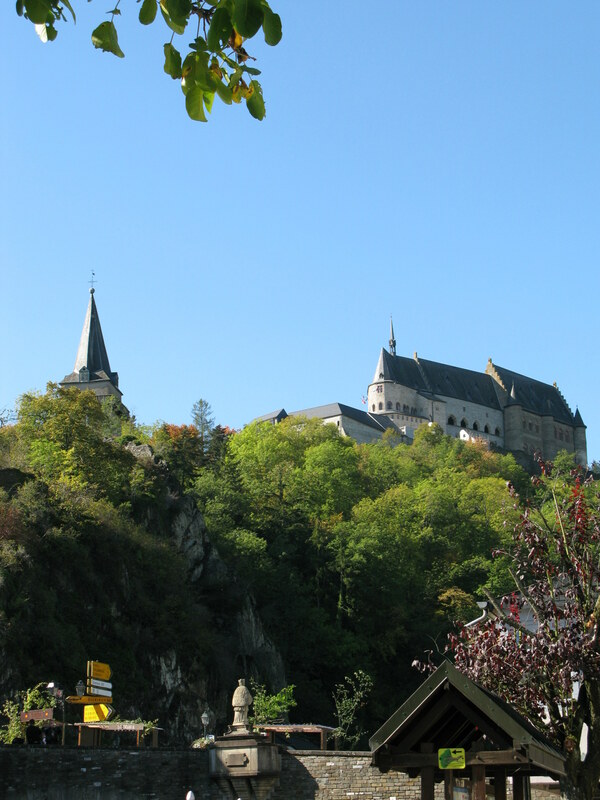 Victor Hugo was captivated by the beauty of Vianden and wrote about it from his visits in 1862 and 1865 and his longer stay in 1871. His sketches and letters can be seen in the museum located in the house where he stayed next to the bridge over the Our. Victor Hugo spoke of a United States of Europe in 1849 at the International Peace Conference, stating that 'A war between Europeans is a civil war'. 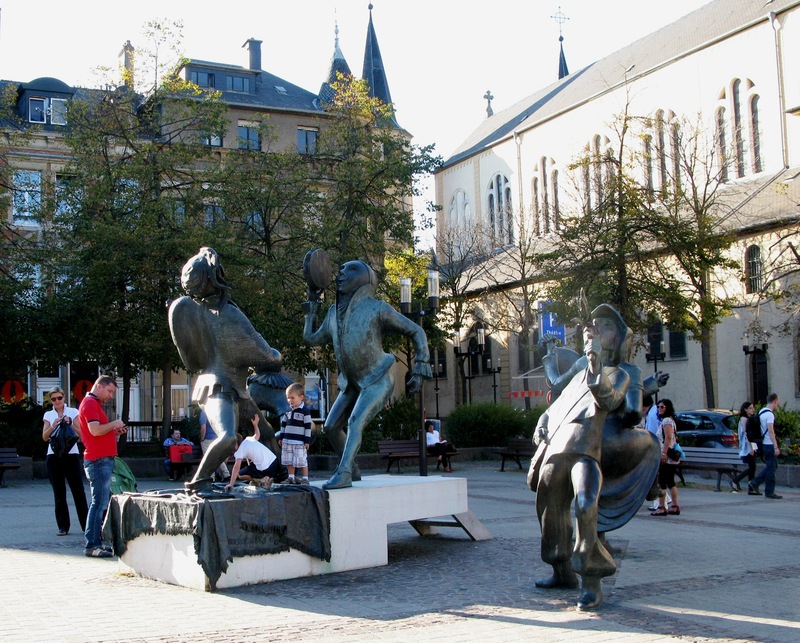 Ironic that Luxembourg, a place that captured his imagination, should be a founder of just such a union. 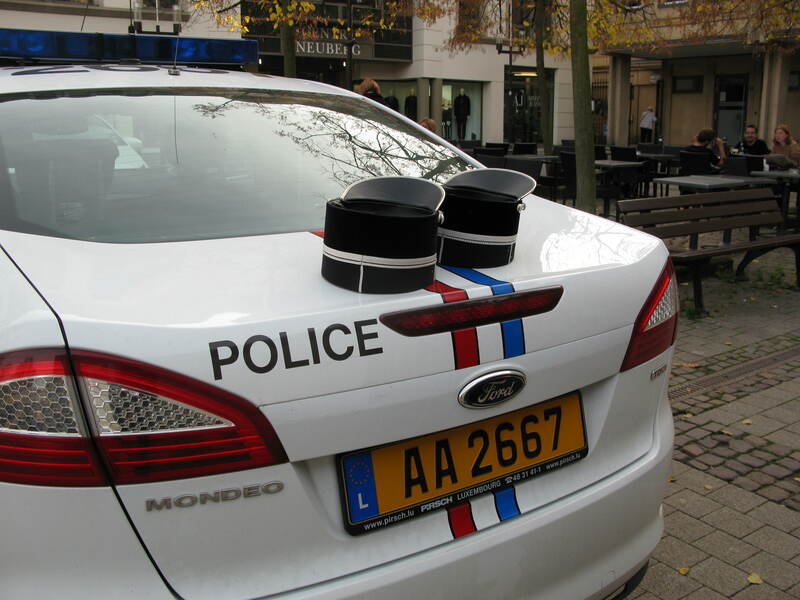 Arriving in Luxembourg is like walking into a photographer's paradise. The architecture is strikingly elegant and full of character. 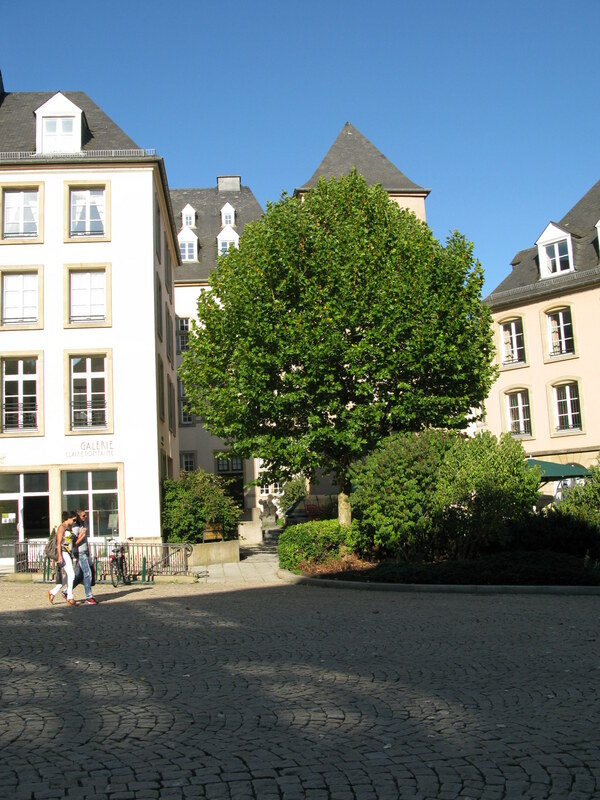 Shops and residences cohabit along the streets of Luxembourg. 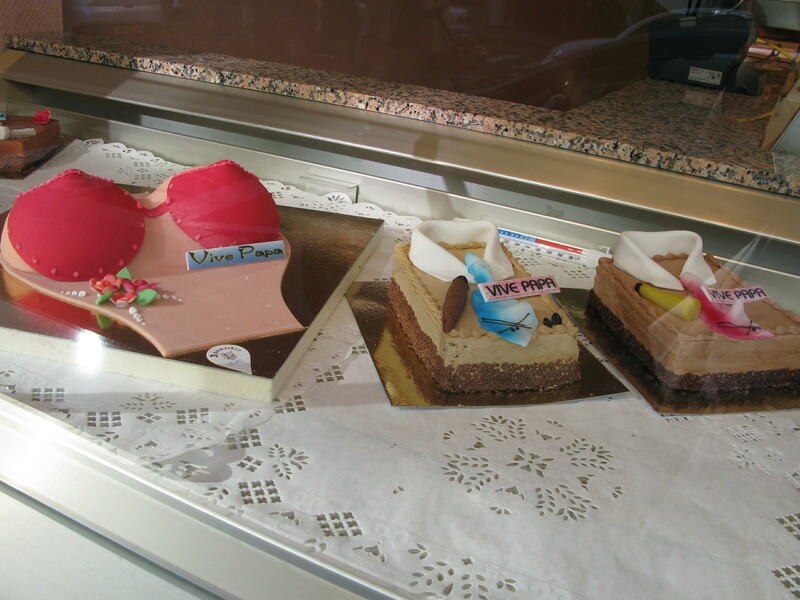 I found the options for a cake for Daddy most eclectic! As you wander you come upon tiny gardens. 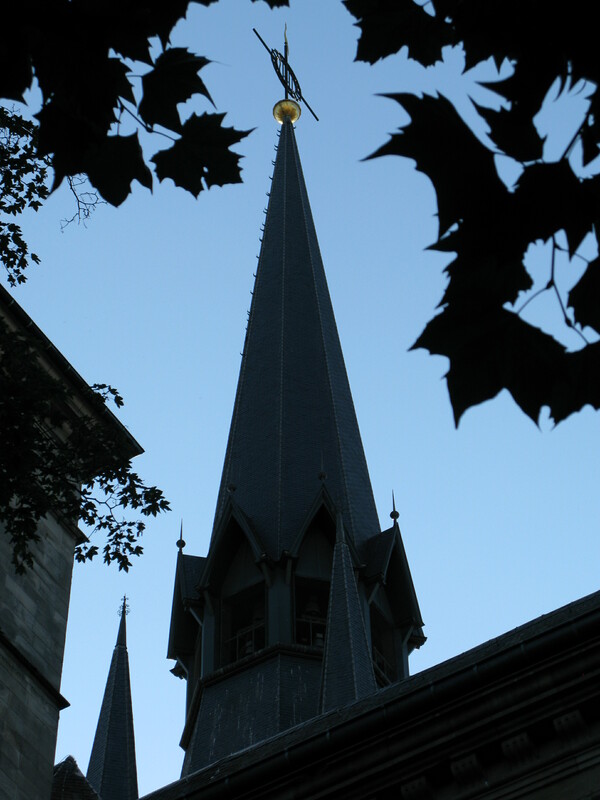 Through so many laneways, the spires and towers of Notre Dame Cathedral peep down into Luxembourg. The spires of Notre Dame Cathedral below beautifully frame the statue of Gëlle Fra (The Golden Lady). Well may the Gëlle Fra stand proud, for she stands here in perpetual remembrance to all the Luxembourgish who volunteered for active service with Allied forces during both World Wars and the Korean War. 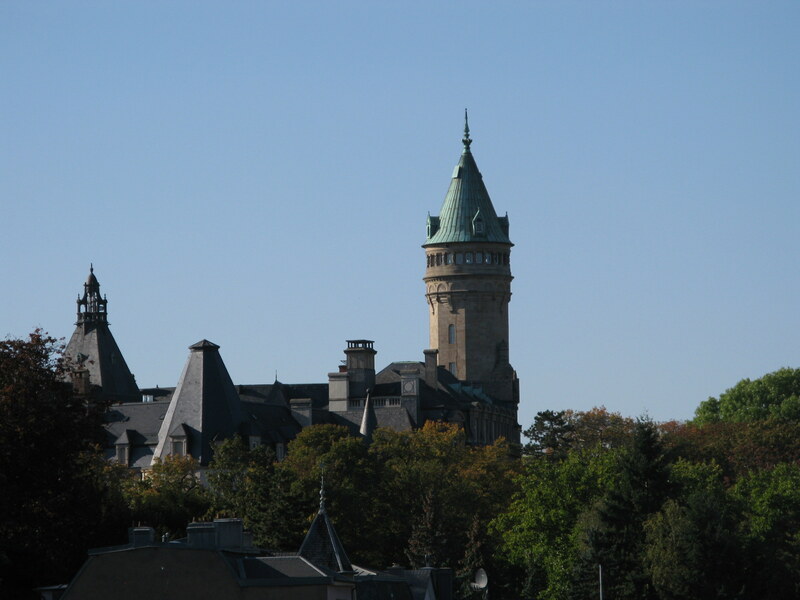 During WWI Luxembourg lost more than 1% of its total population - a higher price than any other combatant country. The golden lady represents 'Nike', the goddess of freedom and she is placing a laurel wreath on the head of the nation. The two statues of soldiers at its base uniquely represent both those who lived and those who died during the conflicts. 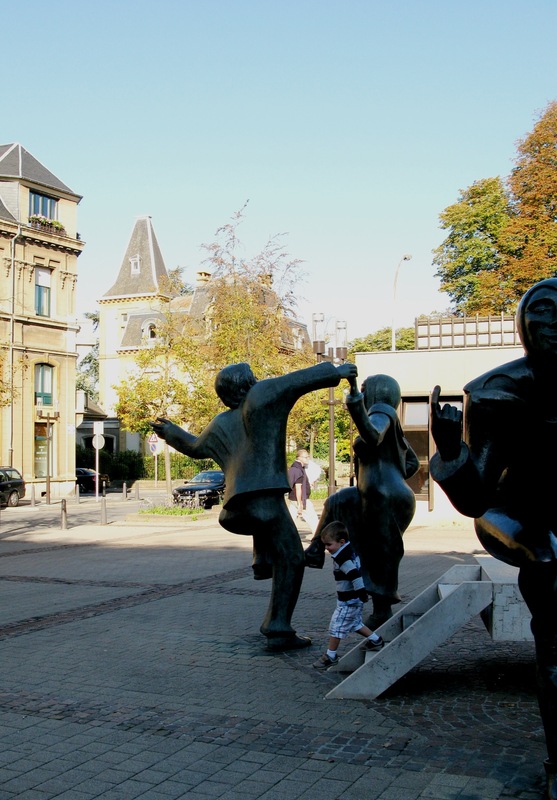 The sculptor is a native Luxembourger: Claus Cito. 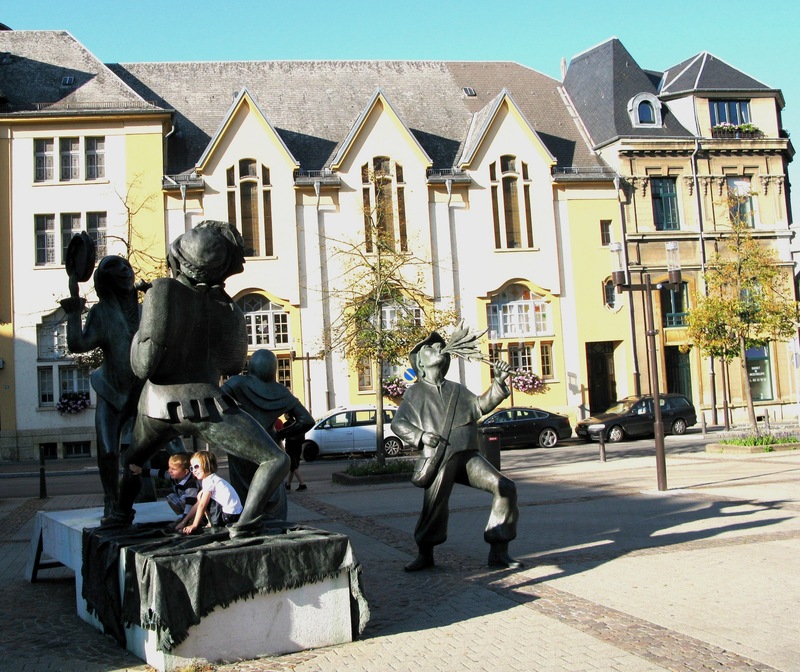 During the occupation of Luxembourg by Germany in Word War II, the memorial was dismantled. Pieces of the monument were rescued and hidden away but the Golden Lady did a long-term disappearing act. Ultimately she was discovered in 1980 hiding underneath the main stand of the National Football Stadium. So: is she a football fan? Perhaps she just did the 'hiding in plain sight' trick. The golden lady has had a more regal trip since then, being chaperoned to take up a temporary post at the Luxembourg Pavilion of Expo 2010 World Fair in Shanghai. 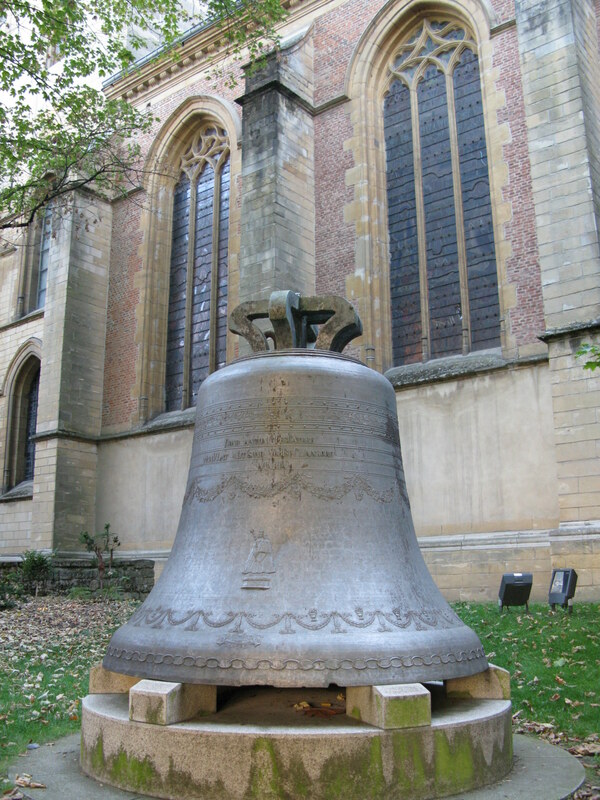 A fiery fate for the bells of Notre Dame Cathedral Luxembourg. 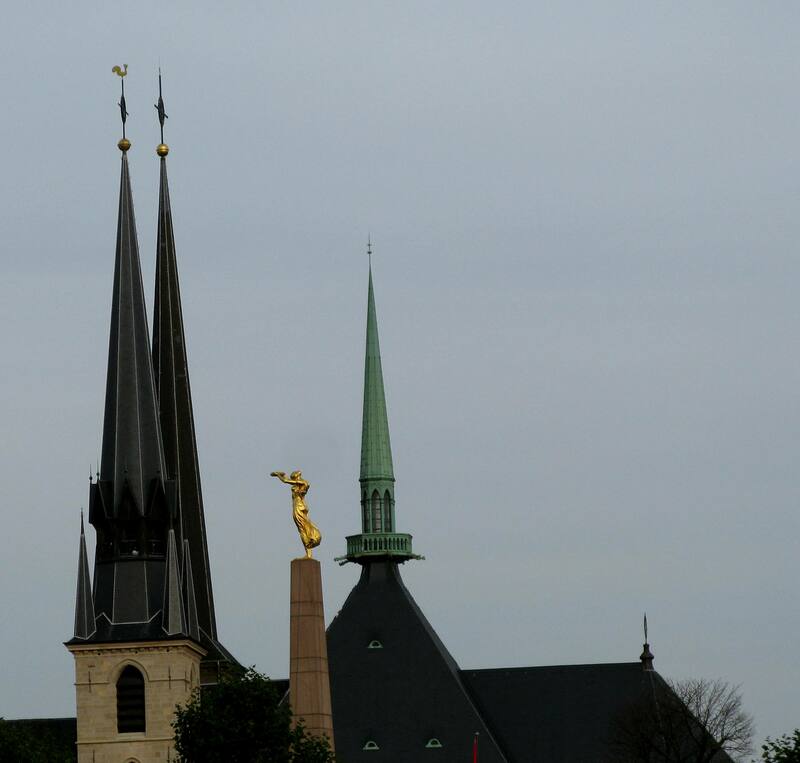 Of the three spires of Notre Dame in Luxembourg, the west tower is the belfry. On Good Friday in 1985, fire erupted after work on the Cathedral roof. In the blaze the bells called The Virgin Mary, Willibrord, Peter, and Cunigunde were reputedly destroyed. 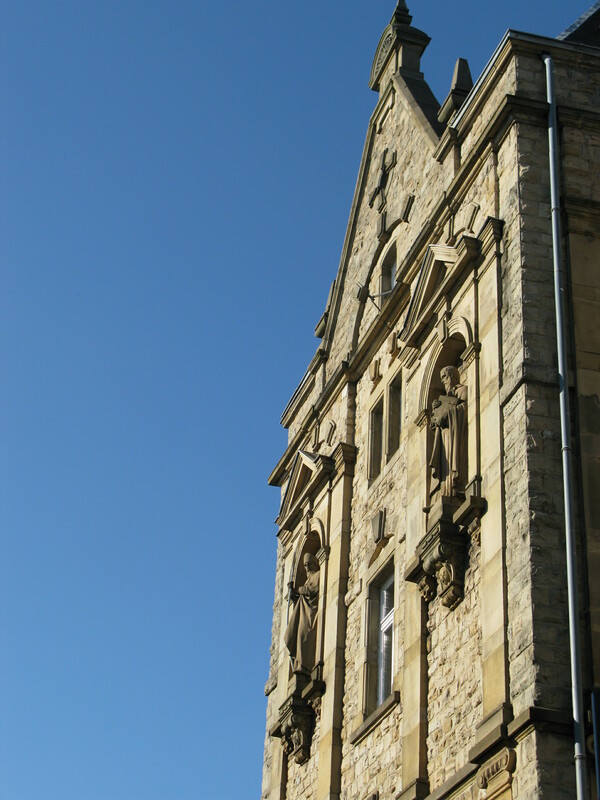 I cannot find reference to their reinstatement or whether any survived, but who, then, is this, sitting peacefully in the sunshine of Luxembourg beside the cathedral? 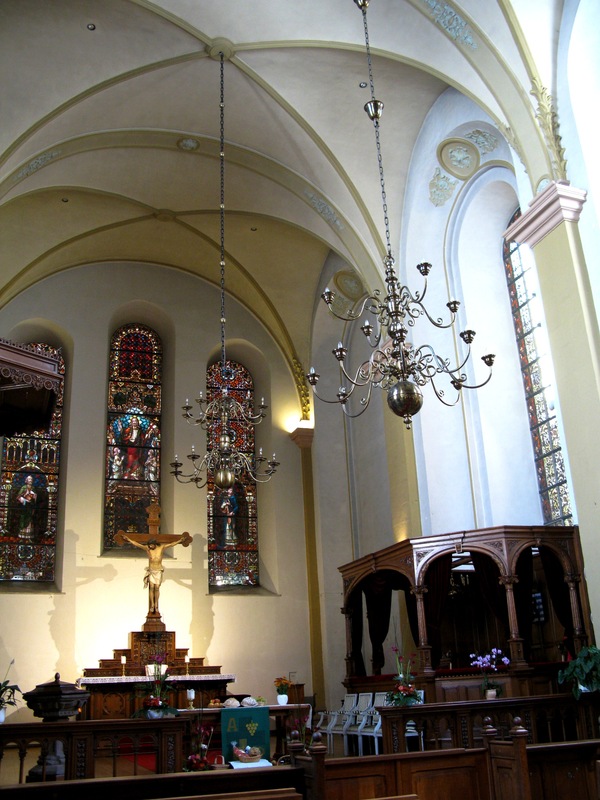 The cathedral is magnificent but there are many other lovely churches in Luxembourg. In the shadow of the Cathedral stands St Michael's Church. 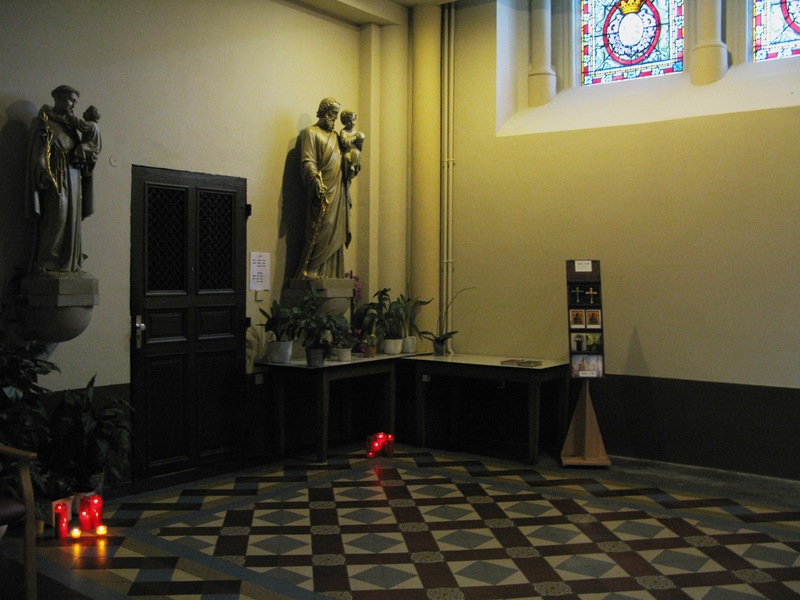 Saint Michael's can claim to the most ancient church site of the city of Luxembourg, as there was a church on its site in 987. Many churches were erected and destroyed on the same site until this one - a youngster built in 1688, stood firm. 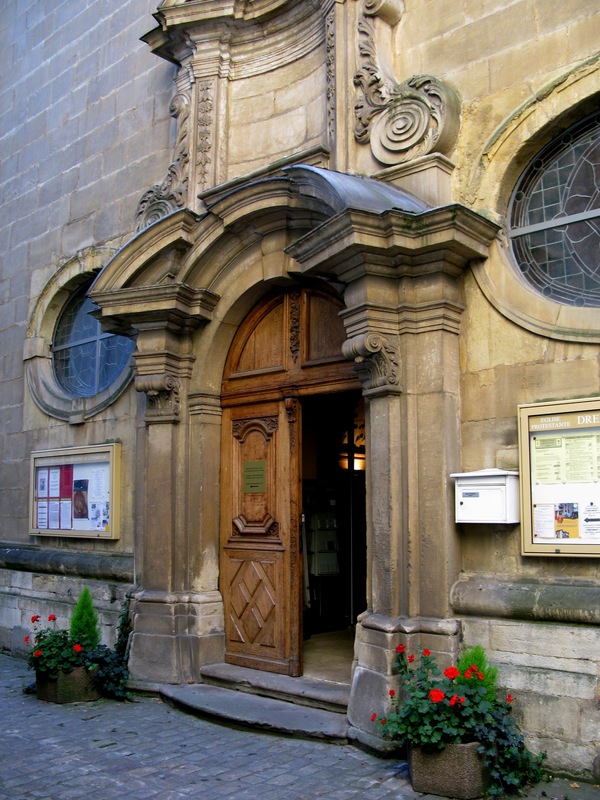 Another of the Luxembourg city churches is Trinity Church, known locally as The Protestant Church. It is on a site where there has been a church only since 1313. 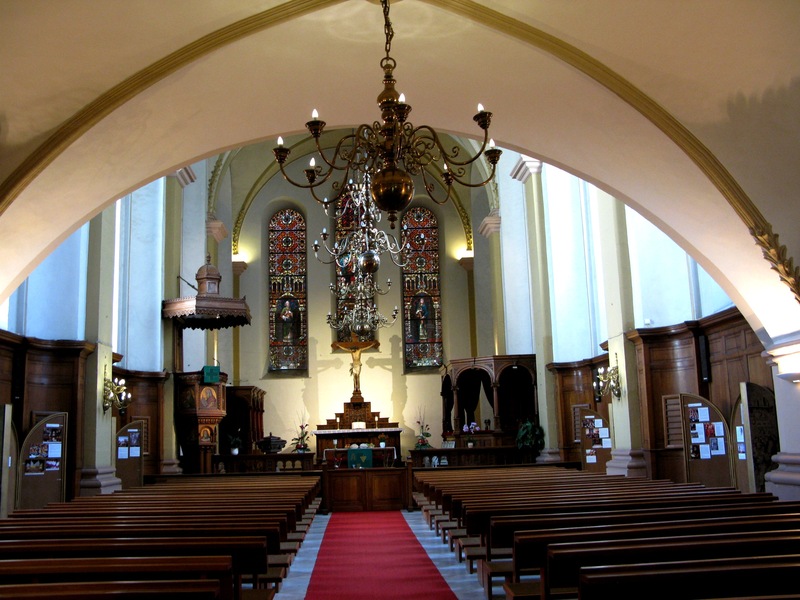 Trinity was once the garrison church for Prussian protestants. 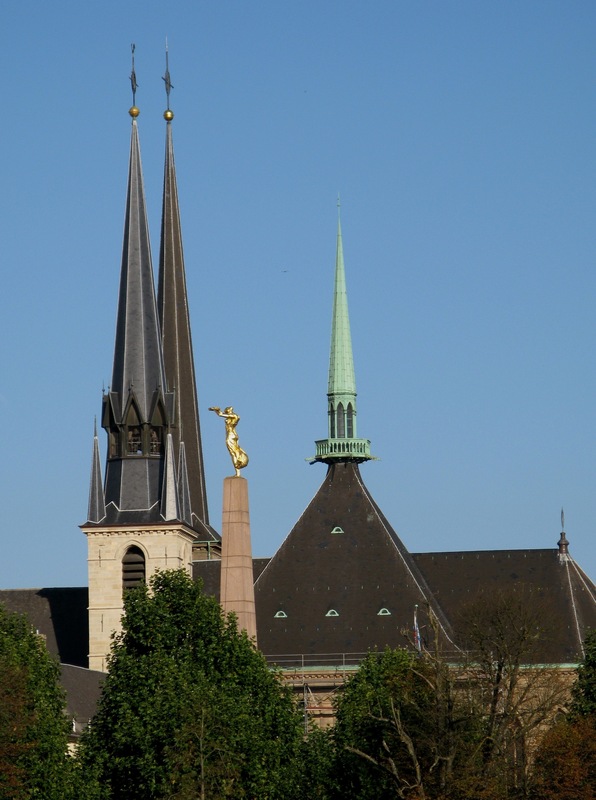 Later, with the ascension to the throne of the Dukes of Nassau, it became the church of Luxembourg's royalty. However, with the marriage of William IV of Luxembourg to the Catholic Infanta Maria Anne of Portugal, change was afoot. Their marriage agreement stated that all progeny who were males should be raised Protestant, and all females should be raised Catholic. Six daughters and no sons later, the ruling house became Catholic. The crypt of Trinity Church was only discovered in 1931, containing the remains of 125 canonnesses buried from the 1600s onwards. The Grand Duke donated the three stained glass windows in 1901. I cannot help but wonder how many of the large Portuguese community of Luxembourg trace their origins in the country back to the arrival of their princess. This delightful grouping of sculptures is a magnet for the child in us all. The sculptor is Bénédicte Weis and one cannot help but wonder if it is inspired by the comic opera of the same name. The opera tells the story of Suzanne and her abandonment as child, adoption by the circus where she is brutally treated by the Circus Owner, capture by soldiers and rescue by one of the same, André. Suzanne and her friends from a small acrobatic troupe and when they are invited to perform at the castle of André's uncle, Suzanne and her friends are recognised by the cruel circus owner who happens to also be there and he has them arrested - saying they owe him money. However, as with all good such tales, Suzanne sings a song she learned as a child and this reveals her to be a song the Count composed and nobody knows except his long-lost daughter. Poignantly, now proven to be of noble birth, she can marry André, but has to say goodbye to her friends the acrobats. This little chap was quite happy to wander off under the dancing acrobats of the Theatreplatz. Smiling to myself at the whimsy and delight of the Acrobats, it seemed appropriate as I left Theatreplatz, to see a relaxed police presence on the streets of Luxembourg.